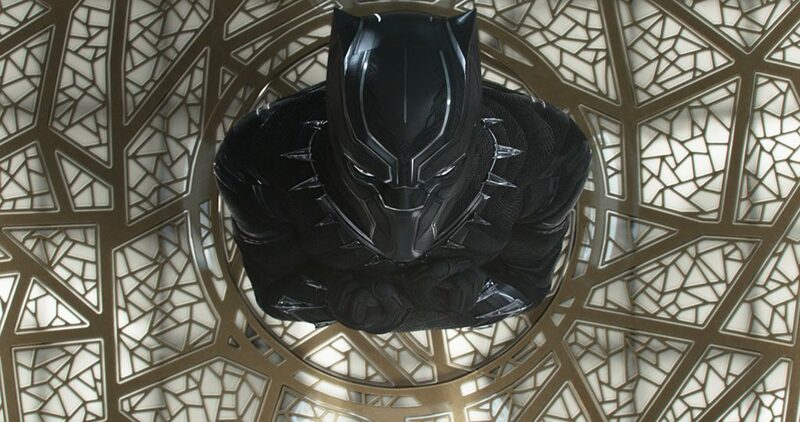 Black Panther’s tight story, great characters, and impressive visuals make it one of the best Marvel films ever, but it’s so much more than that. It’s a culturally and historically significant milestone in the depiction of Black empowerment in an African/Black-centric society that is modern while embracing its heritage, and powerfully advanced with heroic leadership. It’s also an absolute Must See. Co-writers Mr. Coogler and Joe Robert Cole accomplish a great deal, crafting a compelling story that is forced to contain a great deal of exposition but hardly ever lapses in pace or interest. The tremendous cast, led by Chadwick Boseman as the Panther, brings great depth and life to the story, and builds characters which I am eager to learn more about and see what their future lives become. I also very much liked how strong women are at the center of the story and of Wakandan society. The world of Wakanda is a visual treat, blending traditional African culture and advanced technology in fantastic ways. It’s a world you want to live in. The action and visual effects are excellent, with stunning chase and fight sequences, and Ludwig Göransson’s score effectively blends traditional African rhythms and instrumentation with a modern hip-hop vibe. There are a couple of minor points which left me wondering. Michael B. Jordan was great as Erik Killmonger, bringing more depth into the humanity of a villain than we usually get to see. I completely buy how Killmonger became a bitter man consumed by his lust for revenge. It seemed at the end he was headed for a measure of reconciliation or redemption, which would have been really satisfying for me, but the film didn’t go there. Perhaps his death is tied into the broken nature of justice in our society. When Young T’Chaka confronts N’Jobu in the flashback sequence, and ultimately kills him, I felt that act happened with too little internal conflict for T’Chaka. I expected something more accidental, or messy or conflicting, with greater remorse after he realized what he had done. A more emotionally wrought state of mind would have better explained his decision to hide the truth and abandon his nephew. Also, there are two things which didn’t happen and might be addressed in the next installment. First, there was no reprimand or political consequence for W’Kabi and those who sided with Killmonger, especially after T’Challa returns to resume the Challenge. Second, there was no reintegration of M’Baku and his outsider clan after they support and help save Wakanda. I was eager to see how Coogler would address these, especially what the choices would say about Wakandan society/justice. Maybe next time. This is Coogler’s third feature (Fruitvale Station, Creed) and his storytelling and directing abilities have grown each time. With such high expectations for this film, the pressure to produce something special must have been acute. He not only meets those challenges, but exceeds the expectations and has created something truly significant. Wakanda Forever! This entry was posted in Cinema and tagged Chadwick Boseman, Cinema, Michael B. Jordan, Must See, Ryan Coogler. I was also surprised the writers choose to let Killmonger die. I’m hoping he’s magically/technologically resurrected in the next film to provide that peaceful vs. take no hostages tension, and because he’s nice to look at. Yes, and Michael B. Jordan is so good in the role (and, indeed, quite the beefcake) I’d love to see him again. You never know in these Marvel films – characters once thought gone somehow come back.